Analytical decision-making is a form of decision-making that takes both time and evaluation of options. A form of this type of decision-making is based upon the acronym “DECIDE.” It provides a six-step process for the pilot to logically make good aeronautical decisions. For example, a pilot who flew from Houston, Texas to Jacksonville, Florida in a Merlin failed to use the decision-making process correctly and to his advantage. Noteworthy about this example is how easily pilots are swayed from taking best courses of action when convenient courses are interpreted as being in our best interest. Detect a change or hazard. In the case at hand, the pilot was running late after conducting business meetings early in the morning. He and his family departed one hour later than expected. In this case, one would assess the late departure for impact to include the need to amend the arrival time. However, if the pilot is impetuous, these circumstances translate into a hazard. Because this pilot was in a hurry, he did not assess for impact and, as a result, did not amend the arrival time. Key in any decision-making is detecting the situation and its subtleties as a hazard; otherwise, no action is taken by the pilot. It is often the case that the pilot fails to see the evolving hazard. On the other hand, a pilot who does see and understand the hazard, yet makes a decision to ignore it, does not benefit from a decision-making process; the issue is not understanding decision-making, but one of attitude. Estimate the need to counter or react to the change. As the pilot progressed to the destination, it became apparent that the destination weather (at Craig Field in Jacksonville) was forecast as below approach minimums (due to fog) at the time of arrival. However, weather at an alternative airport just 40 miles away was visual flight rules (VFR). At this time, the pilot should have assessed several factors to include the probability of making a successful approach and landing at Craig versus using an alternative field. In one case, the approach is certainly challenging, but it is an approach at the intended destination. The other location (unencumbered by weather) is inconvenient to the personnel waiting on the ground, requiring that they drive 40 miles to meet the pilot and his family. Choose a desirable outcome for the flight. Selecting a desirable outcome requires objectivity, and this is when pilots make grave errors. Instead of selecting the course of outcome with consideration to challenges of airmanship, pilots typically select an outcome that is convenient for both themselves and others. And without other onboard or external input, the choice is not only flawed but also reinforced by their own rationale. In this case, the pilot of the Merlin intends to make the approach at Craig despite 100 feet ceilings with ¼ mile visibility. The pilot failed to be objective in this case. The identification of courses of action were for his psychological success and not the safety of his family. Do take the necessary action. In this case, the pilot contaminates his decision-making process and selects an approach to the instrument landing system (ILS) runway 32 at Craig where the weather was reported and observed far below the minimums. Evaluate the effect of the action. In many cases like this, the pilot is so sure of his or her decision that the evaluation phase of his or her action is simply on track and on glideslope, despite impossible conditions. Because the situation seems in control, no other evaluation of the progress is employed. The outcome of this accident was predictable considering the motivation of the pilot and his failure to monitor the approach using standard and accepted techniques. It was ascertained that the pilot, well above the decision height, saw a row of lights to his right that was interpreted as the runway environment. Instead of confirming with his aircraft’s situational position, the pilot instead took over manually and flew toward the lights, descended below the glidepath, and impacted terrain. The passengers survived, but the pilot was killed. In an emergency situation, a pilot might not survive if he or she rigorously applied analytical models to every decision made; there is not enough time to go through all the options. But under these circumstances, does he or she find the best possible solution to every problem? For the past several decades, research into how people actually make decisions has revealed that when pressed for time, experts faced with a task loaded with uncertainty, first assess whether the situation strikes them as familiar. Rather than comparing the pros and cons of different approaches, they quickly imagine how one or a few possible courses of action in such situations will play out. Experts take the first workable option they can find. While it may not be the best of all possible choices, it often yields remarkably good results. The terms naturalistic and automatic decision-making have been coined to describe this type of decision-making. These processes were pioneered by Mr. Gary Kleinn, a research psychologist famous for his work in the field of automatic/naturalistic decision-making. He discovered that laboratory models of decision-making could not describe decision-making under uncertainty and fast dynamic conditions. His processes have influenced changes in the ways the Marines and Army train their officers to make decisions and are now impacting decision-making as used within the aviation environment. The ability to make automatic decisions holds true for a range of experts from fire fighters to police officers. It appears the expert’s ability hinges on the recognition of patterns and consistencies that clarify options in complex situations. Experts appear to make provisional sense of a situation, without actually reaching a decision, by launching experience-based actions that in turn trigger creative revisions. This is a reflexive type of decision-making anchored in training and experience and is most often used in times of emergencies when there is no time to practice analytical decision-making. Naturalistic or automatic decision-making improves with training and experience, and a pilot will find himself or herself using a combination of decision-making tools that correlate with individual experience and training. 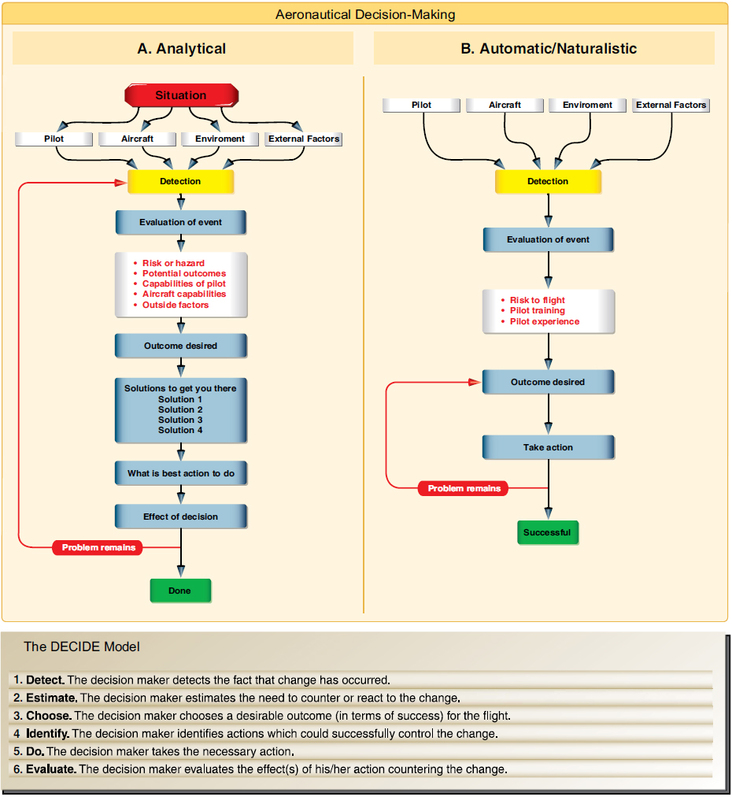 Figure 5-2 illustrates the differences between traditional, analytical decision-making and naturalistic decision-making, both related to human behavior. Instances of human factor accidents include operational errors that relate to loss of situational awareness and flying outside the envelope. These can be termed as operational pitfalls.